On August 20, 2007, Leona Helmsley, the billionaire New York City hotel operator and real estate investor, died, leaving an estate estimated at more than $4 billion. As part of a carefully drawn estate plan, Leona’s treasured dog, a Maltese named Trouble, was left $12 million in a trust fund. This bequest has caused a frenzy of commentary. As a result, many more people are seeking information about how they can protect their animals should they pass away. Although many states, including New York, recognize trusts that name an animal as the beneficiary, unfortunately, at this time, Massachusetts does not recognize such trusts. Fortunately, there are still options for the Massachusetts animal owner to consider. If the animal owner truly desires a trust, while it is not possible to create an enforceable trust solely for the benefit of an animal, it is possible to create an enforceable trust for the benefit of your animal’s caretaker. Should you not be inclined to establish a trust for whatever reason, an outright bequest of the animal in your Will, along with a sum of money intended to allow the recipient to provide care for your animals is another option. This option works well if you are of modest means and name a trustworthy caretaker. There are many considerations to be addressed when planning for your animals’ ongoing care. Choosing a proper caretaker is first and foremost. It is also important to determine the caretaker’s compensation or the cost if your animals are to be surrendered to a rescue or similar facility. Providing standards of care, such as delineating the expected veterinary, exercise and grooming schedule for your animal, is recommended. In addition, the final disposition of your animals and the set of circumstances in which euthanasia would be permitted should be addressed. When you’ve established an estate plan that addresses the issues raised above, you have taken the steps necessary to ensure the ongoing care of your animals when you pass away. Without such a plan, the fate of your animals is at best uncertain, and at worst, unspeakable. 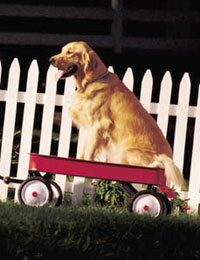 For more information about Gina's Pet Estate Planning expertise, please click here.